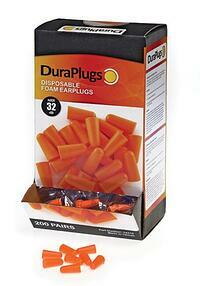 Earplugs- You never know when you'll need a pair of ear plugs at the track. You could be pitted next to the back straight or your friends and family might be visiting to watch your big race. Or maybe your dog is like ours and thinks these are yummy doggy treats and now you have nothing to wear while you're sleeping in your trailer at the track. You know, hypothetically. Spend the $2 and grab yourself a whole box of these life savers. Rescue Tape- This stuff can legitimately save the day. In racing conditions you never know what can go wrong, and Rescue Tape might just become the difference between the podium and a DNF. Designed to work even on wet, dirty and oily surfaces, it can seal leaking hoses, help organize wiring, prevent corrosion on exposed metal fittings, and can even be used as an emergency fan belt if need be. 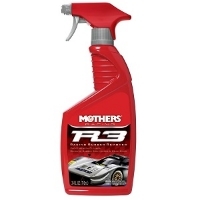 Mother's R3 Racing Rubber Remover- If your car is any color other than black, you've seen the dreaded rubber booger marks all over your front bumper, hood, roof and even trunk lid! This rubber remover makes the task of getting rid of those black marks much less of a hassle - just spray on and wipe off. We go through a lot of this stuff keeping the cars looking nice. 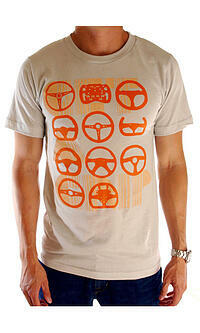 Wear Your Passion- Who doesn't love a good t-shirt? 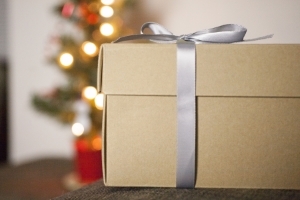 It's an easy, affordable gift and you can find one that fits your preferred discipline: Formula 1, vintage, rally, or the mechanics, physics and economics of racing. And it's a perfect fit if your loved one always complains that all you wear are track shirts. Technically it's not a track shirt. In fact you might be able to get away with one of these on a date. Balaclava- If your helmet doesn't smell fresh when you pull it over your head, it's because your sweaty noggin has turned it into a nasty gym sock - one that never gets washed. 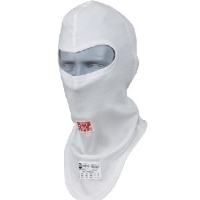 A balaclava soaks up all of that sweat and keeps your helmet fresh for years. My retired 2005 Bell M3 Pro still has a faint "new helmet" smell thanks to faithful use of a balaclava. These $60 wonders are also fire resistant adding another layer of protection in the unlikely case of a fire. Fits great in a stocking! Tire pressure gauge- It never ceases to amaze me how much time people spend driving without checking their tire pressures carefully. Whether you're at the educational HPDE level or competing in autocross or club racing, if you don't have a reliably consistent hot tire pressure as a baseline, you will always be chasing how the car handles and performs. 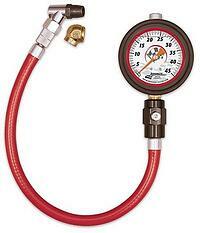 Check your existing gauge against a friends frequently as even one accidental drop can cause errors of 2 PSI or greater. Choose the smallest PSI range you need for the most accuracy. Gloves- This is a no-brainer. If you don't have your gloves, you're not going racing. And if you already have a pair, now's a good time to see what kind of shape yours are in and decide if you need a new pair. Need help choosing? Check out this buyer's guide from Winding Road Racing. Shoes- Another must have. 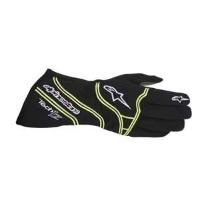 Karting gloves are generally less expensive since they aren't fire resistant while road racing groups generally require gloves to be made of Nomex or Carbon-X. 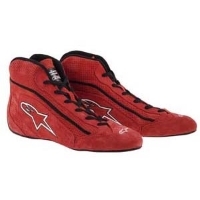 Have a look at Winding Road Racing's buyer's guide to find the right pair for you. 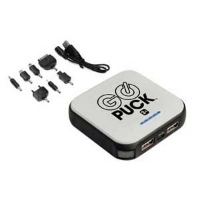 GoPuck Portable Charger- The GoPuck is extremely useful at an event where power outlets can be few and far between, but also when traveling or really anywhere power outlets and USB ports are scarce. It can recharge your GoPro, AIM Solo and iPhone faster than a wall outlet, and its rugged design means it can handle the same kind of abuse as the rest of your racing gear. 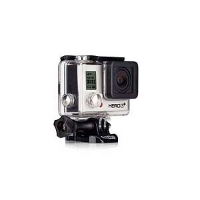 GoPro Camera- No introduction needed. And chances are you probably already have a camera for your car, motorcycle or kart. But another would be awesome right? Ever thought of putting one next to the suspension? Or looking at your foot work while qualifying? If you can't convince the family to pony up for another camera, how about a Battery BacPac to increase your battery life? 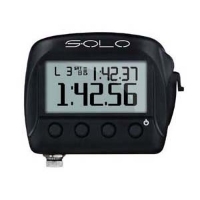 AIM Sports Solo GPS Lap Timer- If you want to improve your performance as a driver at any level, you've gotta look at data. This affordable, plug-and-play GPS-based unit automatically records and displays everything you need to improve: speed, lap times, accelerations, braking. And after the race you can connect to a PC and analyze your data in tables, graphs and histograms to really figure out where you can find that 1/10 of a second. Because it's GPS based, it's equally useful for Autocross.